Butrint occupies the small Ksamili peninsula between the straits of Corfu and Lake Butrint. Due to such a strategic position on the Mediterranean Sea, there were many military operations for the control of the area from the first Peloponese war (V century BC) until the Napoleonic wars (XIX century). 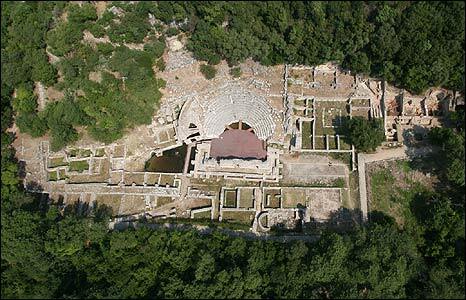 Butrint then came under the control of the Illyrians anxious to control the maritime trade and during the 3rd Macedonian war in 167 BC, the city was conquered by the Romans. 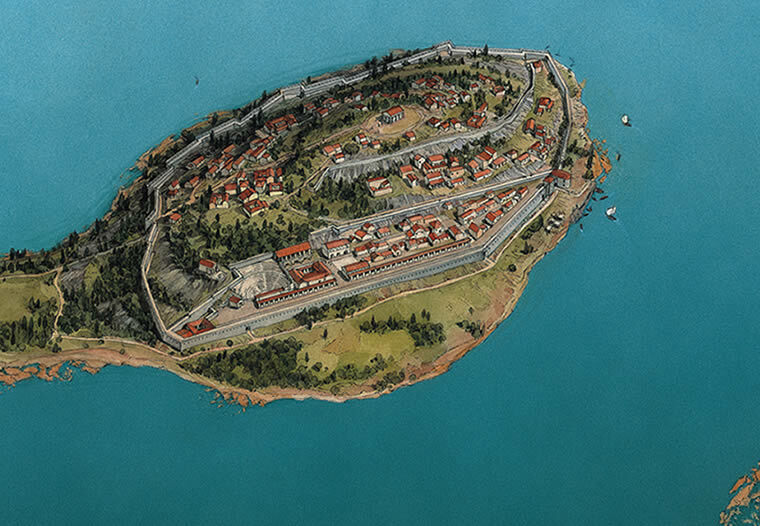 The Romans used the port as a supply base for military campaigns in Epirus and Macedonia in the II century BC and area was afterwards “romanised”. With the creation of the Byzantine Empire in the East, Butrint was therein enveloped and remained part of the Empire until the latter’s fall at the hands of the Turks in 1453. In 1972 UNESCO adopted the Convention ‘Concerning the Protection of the World Cultural and Natural Heritage’ and under its auspices introduced the World Heritage List. Butrint was nominated as a World Heritage Site in 1990 but in May 1991 ICOMOS (International Council on Monuments and Sites) recommended that its inclusion be deferred to await verification of various definitions and plans relating to its protection. By 1992 ICOMOS was satisfied that all the protective requirements were in place and they recommended that Butrint – the intramural area covering 16 hectares – be included on the World Heritage List on the basis of criterion iii . 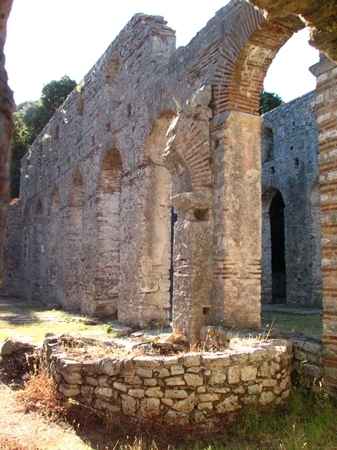 In 1997 civil unrest prompted ICOMOS to recommend that further action regarding the protection of the site was essential and Butrint was put on the list of World Heritage Sites in Danger. 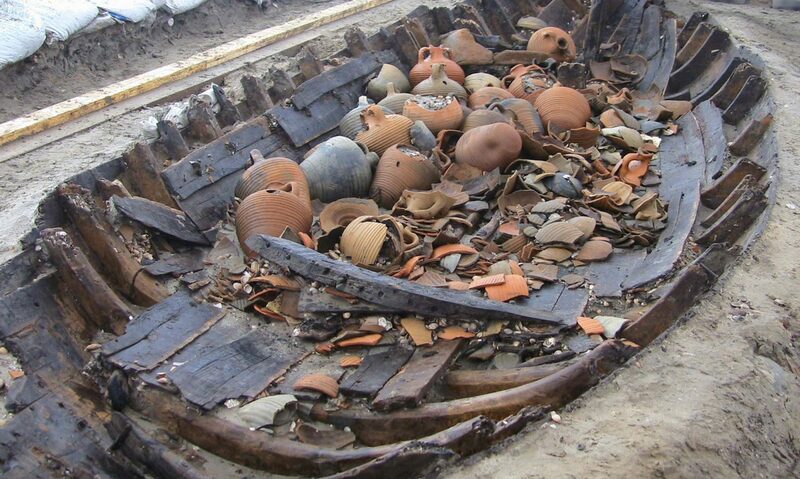 As a result a workshop for the definition of the past, present and future of the site was held in 1998 which led to the Albanian Government creating an office for the protection of the Butrint Site. In 1999 ICOMOS asked to extend the buffer zone of the site for fear of uncontrolled tourist development in a small area on the coast. The protected zone was therefore extended under the existing criterion (iii) on condition that the State Party withdrew plans for this development. The establishment of the Butrint National Park in 2000 gave the site new legal status and protected an area of 29 km², managed by the appointment of a director.